It’s been a bad month for Ben Carson, and the month is only a few days old. First there were reports that a stabbing incident the candidate recalled in his autobiography, Gifted Hands, might be fabricated. Then there was Politico’s report that Carson lied about being offered a scholarship to West Point. And finally a Wall Street Journal report indicating that Carson was never been named “the most honest student” while an undergraduate at Yale. In short, Carson—whose campaign is built almost entirely on his character—has been caught in a handful of lies. But Carson insists that they weren’t lies after all. In a Sunday morning interview with ABC’s The Week, Carson called the questions “irrelevant,” adding that none of the Democratic hopefuls had received such scrutiny. The Week: Dr. Carson, explain that, because “The Wall Street Journal” did say that there was a class where you were named the most honest student, but they couldn’t find the name of the class or at — any record of it at Yale. Carson: We found the article from the “Yale Daily News” about the whole scam, so — it wasn’t a scam, it was a parody. And — but we found it. And the course, I guess, was called Psychology 1-0. Carson also continued to defend his claims that he was accepted to West Point and offered a full scholarship. “Well, it’s been proven that it wasn’t a lie. And none of the things are lies,” Carson said. Despite the questions over Carson’s campaign-ready autobiography, none of the reports seems to have hurt the Republican front-runner. 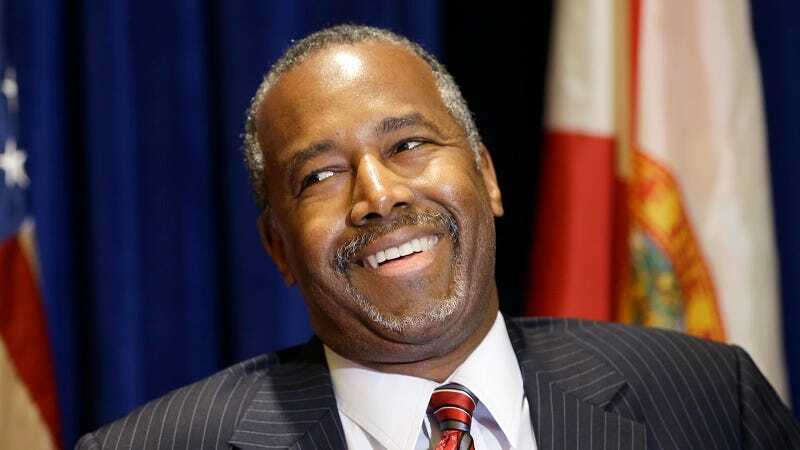 On Saturday, Carson announced that the “biased media” had helped him raise $3.5 million in the last week. Huffington Post notes that the $3.5 million is more than some of his Republican rivals have raised in the last three months.